Salomé Voegelin is a Swiss artist and writer engaged in listening and hearing as a socio-political practice of sound. As her webpage (http://salomevoegelin.net/public_html/salomevoegelin.net/About.html) puts it, she is the author of Listening to Noise and Silence: Towards a Philosophy of Sound Art, Continuum, NY, 2010, which achieved national and international recognition for offering ‘a refreshing departure from the many surveys of sound art’ (Michael McCrea, Sound Art, June 2010) and for ‘making a perceptive contribution to an emerging debate’ (Montgomery, The Wire, August 2010). The book engages with the emerging practice of sound art and seeks to immerse the reader in listening to sound artwork and the everyday acoustic environment, to establish an aesthetics and philosophy of sound and to promote the notion of a sonic sensibility. 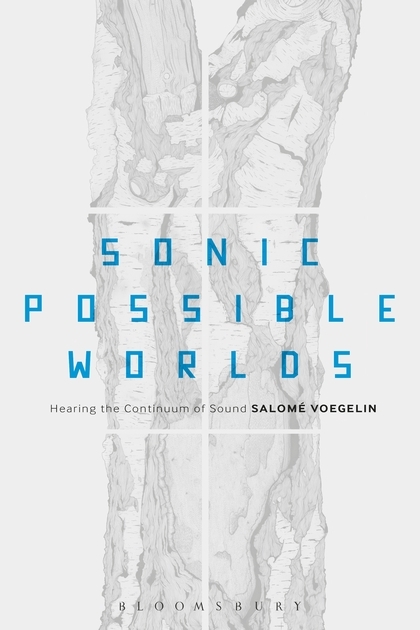 Voegelin is currently working on a second book Sonic Possible Worlds: Hearing the Continuum of Sound, was published by Bloomsbury in June 2014. The book adapts and develops possible world theory in relation to sound to produce a meeting of the semantic and the phenomenological at the place of listening. Voegelin’s work on listening and writing brings the philosophy of sound to a participatory engagement: her blog soundwords.tumblr.com is the template for a participatory public listening and writing and has been practised, for example as part of a residency at Around Sound Art festival and conference in Hong Kong January 24.- February 7 2013 (soundpocket.org.hk), at Sound Reason in Delhi, November 2013, and most recently as part of Liquid Architecture Festival in Melbourne, Australia, August/September 2014. Her monthly radio show on Resonance FM, ora: voyages into listening and writing, with Daniela Cascella, encourages a shared hearing and listening between sound and text (www.ora2013.wordpress.com) and her project Points of Listening, with Mark Peter Wright, (www.pointsoflistening.wordpress.com), engages in collective and solitary listening across London. Voegelin’s sound arts practice involves compositions produced by her self and in collaboration with David Mollin. Most recently her piece Erlking was included in SOUNDWORKS exhibition at ICA (Institute for Contemporary Arts) in London in 2012, and her piece Not Quite Sitting down for Six Minutes is presented as part of Wolf Notes 4, http://wolfnotes.wordpress.com/wolf-notes. While her solo work focuses on the small and slight, unseen performances and moments that almost fail to happen, her collaborative work has a more conceptual basis, establishing through words and sounds conversations and reconfigurations of relationships and realities. Voegelin and Mollin’s collaborative composition Barry Echo was produced for the Bregenz Kunstverein in Austria and is part of the ‘Playing with Words’ book and CD Compilation edited by Cathy Lane (http://www.gruenrekorder.de/?page_id=1885). Their multi channel work Drafts was presented at Artisphere, inWashington DC, April-August 2014. They are currently working towards a sound and text piece for Lydgalleriet in Bergen, Norway. Voegelin is a Reader in Sound Arts at the London College of Communication, UAL, and is the course leader of the MA Sound Arts. I like working collaboratively. The energy of working together provides a different sense what it is that is being done and what can be done. Completely new things can become possible between collaborators, and it takes the emphasis off the individual and puts it instead on the work and its possibilities. I experience a completely different rhythm when I work with other people. There can be a real infectiousness in working together, and a mutual support that frees you from the sense of achieving something toward simply doing it. I am currently collaborating with the Italian writer Daniela Cascella on a monthly radio series called ora: voyages into listening and writing (www.ora2014.wordpress.com), we record monthly conversations around a theme, sometimes with invited guests, to expand how we think and talk about sound, listening and language. This collaboration influences both our own writing and listening beyond the broadcast and excites new approaches to my own work. I am also currently co-producing a monthly listening project together with the English field recordist Mark Peter Wright. We stage an event called Points of Listening PoL (www.pointsoflistening.wordspress.com), a monthly programme of listening workshops, activities and discussions based in and around London. With this programme we try to encourage a listening together as a socio political impetus, and this collective approach is certainly helped by our own collaborative spirit. Your first book was a revolution. Can You tell me, in short, the main ideas behind it? To lots of Your fans it still seems very complex. I assume you refer to Listening to Noise and Silence: Towards a Philosophy of Sound Art, which was published in 2010. It is very flattering that you should think it is revolutionary. This is a judgment that I do not think can come from the author but must work itself out over time. I would of course be very pleased if it manages to inspire some radical ideas. As an intention I certainly aimed for a new and original way to write about sound that did not simply refer back to a visual source or compare the heard to a musical genre, the reading of a score, but engages the reader in the material of sound and what sensibility and insights it might produce about art and the world. The main issue thus was language itself, the philosophical and vernacular language that we have available to talk about sound, and the deficiencies and limitations of language that listening makes apparent. From there issues of objectivity and subjectivity, identity and belonging started to work themselves out, which make apparent that listening and a philosophy of sound is not only an aesthetic but also a socio-political practice that re-evaluates measures of time and space and how we are positioned within their axes. I am not entirely sure what you mean by “when there is no sound”. If you refer to the idea of the inaudible as that which we cannot yet hear or that which we cannot hear anymore, then I am reminded of the limit of our hearing rather than the limit of sound: sound itself is inexhaustible, permanently in the present. However, there are sounds that we cannot or do not want to hear. For political, social reasons or sometimes for reason of taste and habit we exclude them from the range of the possible and overhear them, neglect and ignore them. This is an issue I discuss in the concluding chapter of my new book Sonic Possible Worlds: Hearing the Continuum of Sound via the work of Eisuke Yanagisawa, Christina Kubisch and Mikhail Karikis, all of whom present us with sounds that are either not audible without special equipment or are not audible anymore because political and economic forces have changed everyday life and professional practices. The inaudible becomes a crucial theme to acknowledge and become aware of the fact that there is more to hear than we might be listening out for in relation both to art and music, as well as in relation to the everyday. And in my opinion it is the artist and the critics job to work on this verge of the audible and make the as yet inaudible heard and relevant so we can expand and pluralise the actuality of the real world through its inaudible possibilities. There is an ongoing and not always fruitful discussion as to what is Sound Art - what belongs to the discipline and what not. I prefer not to consider Sound Art as a discipline but as a contingent practice and think of it as sound arts, as a plural, that encompasses a vast variety of sonic expressions which do not or do not want to belong to either music or visual arts. Or I understand sound art simply as “doing stuff with sound”: any practice that involves sound and even some works that do not sound but that still hold a sonic sensibility - a sensibility to the invisible and mobile nature of a sonic materiality and the demand that it makes on our perception. For me it is not a question of equipment and compatibility but of the work produced. Digital or analogue instruments, a piano or SuperCollider for example, are just tools, sound makers, that allow us to realise a conceptual and material aim. Of course the technology, its spectrum and processes, hold their own aesthetic and conceptual reference points, but even then the focus has to be on what we do with it, the sonic material produced and the reference points played with, rather than the capability of the machine. We have to let go of a materialist interpretation, contexts slip and change, new contexts are being created through the work rather than the work being limited to existing frames. I find it amusing, for example, that a chamber composition for strings and piano with electronics is automatically considered as sonic arts, when it is just a chamber piece with electronics. As soon as we plug something in or add a digital element the label changes, when it would be so much more interesting, in this instance, to expand the frame and possibility of chamber music instead. My first art related awareness of Lithuania was through the work of Jonas Mekas and his influence on experimental film making in New York and by extension also in London. This understanding had been preceded by a more romantic intrigue with all three Baltic states’ difficult and complex past as part of Russia and as autonomous countries, a more historical interest, which however I guess finds present artistic and literary consequences and furnishes a political identity also. I am aware of George Maciunas role as the founder of Fluxus, a movement central to the conception of a sounding art; and I also know of the strong tradition of radio art in Lithuania. It seems to me however, that contemporary sound art in Lithuania on the whole takes its influences a lot more from electroacoustic and acousmatic music, away from the installation, object or performance based works of Fluxus and to the side of radio art, but I have to wait for your book on sound art in Lithuania to understand these current strands more intimately. 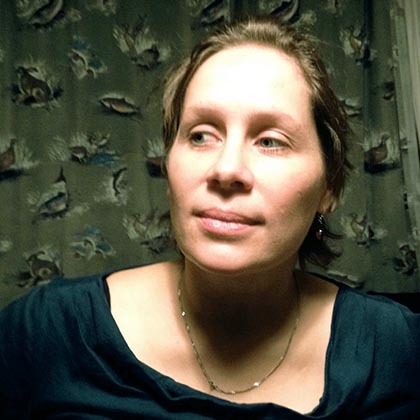 I am very excited by the work of Lina Lapelytė, who combines musical composition with strong performance elements and a choreography of space (she is performing at the Contemporary Art Centre in Vilnius on the 5th November). I prefer to call experimental music / Sound Art a postmusic, about which I am writing a book now. What do You think about this possible term? I do not know how you are going to interpret the word postmusic, but I have recently come across the term postclassical in relation to classical music, and have found that potentially a really interesting and useful term to reconsider a contemporary sound making that does not entirely deny its musical heritage but allows itself to make new stuff with sound. I am very curious about your project and look forward to hearing more. Having a book that opens up the contemporary sound making of Lithuania and maybe other Eastern European countries would indeed be really interesting and certainly make an invaluable contribution to the discourse of sound art.